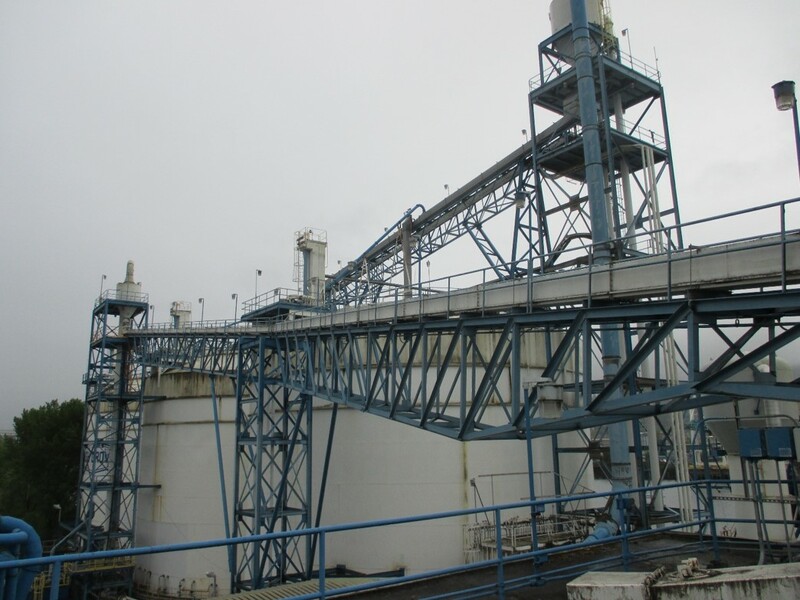 ZAP provided preliminary engineering and design for a cement and granulated blast furnace slag import and distribution terminal. Preliminary design included interface with existing terminal equipment and structures, layout of storage and conveying equipment, maintenance access planning, and structural design. Project included three 20,000 ton import silos and two 5,000 ton silos for barge loading distribution operations. Project deliverables included a total installed cost estimate and preliminary layout and structure drawings. Existing cement terminal facility required identification and management of equipment tie points and interferences. 3D model of existing and new facility to support cost estimate. 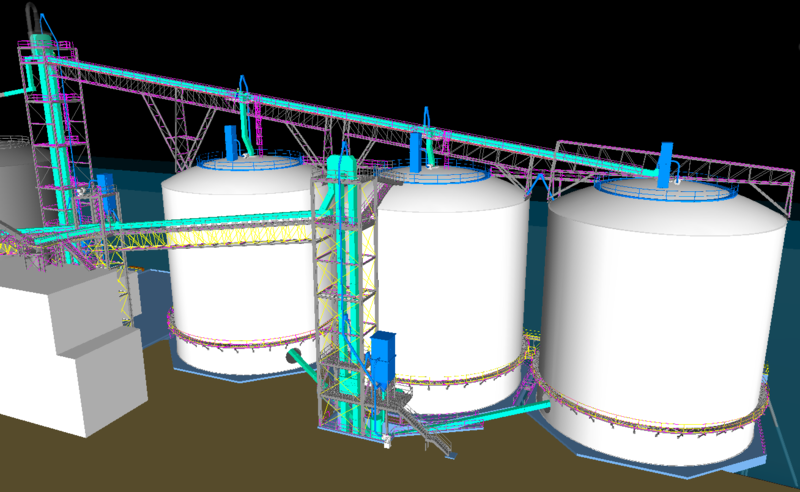 Layout of new conveying equipment from existing ship unloading system to new storage silos. Layout and routing of new air gravity conveyors and bucket elevators to convey cement and slag to new storage silos. Preliminary engineering and design for structural steel and concrete to support total installed cost estimate. 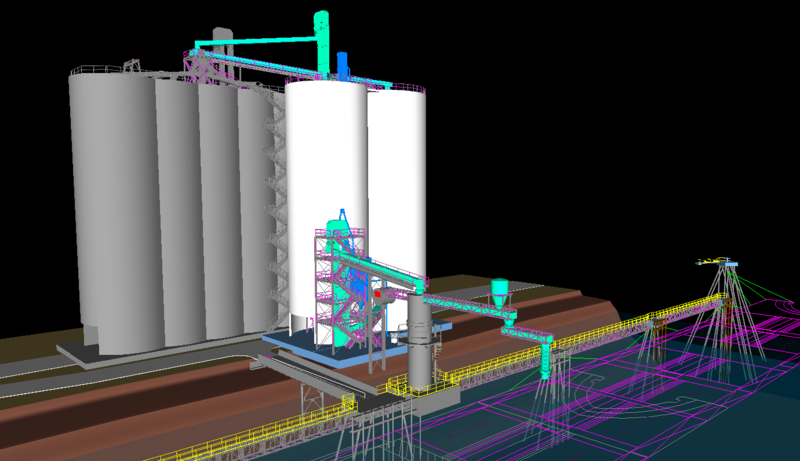 Layout and design of new barge loading silos, conveying equipment, and dock improvements. Equipment installation cost estimating including new silos and all balance of plant equipment. ZAP optimized the equipment layout and accuracy of cost estimate by identifying feasibility and critical interferences early in the design.